BD Diesel Heavy Duty Truck Turbocharger UNIVERSAL - Dezod Motorsports Inc - Home of the automotive performance enthusiast since 2002. Exchange units using the latest in aerodynamic technology and materials, featuring light weight extended tip compressor wheels with high flow blade design characteristics for improved throttle response time. 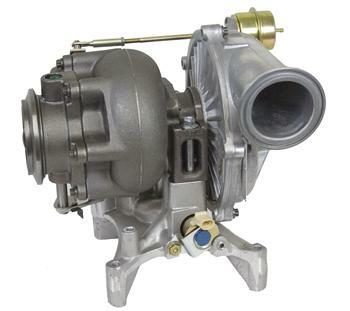 These units which are built with consistent high quality standards offer cooler exhaust temperatures, improved engine brake retarding power and the most rugged bearing system in the turbo industry. Rebuilt and exchange Caterpillar, Detroit, Cummins, Komatsu, Toyota, automotive, light duty pick-up, agriculture, marine, commercial, industrial and gas & diesel applications.